OpenWrt Attitude Adjustment: SECN 2.0 is based on the final release of OpenWrt Attitude Adjustment. We will continue to tie SECN releases as closely as possible to OpenWrt releases in order to maximise device compatibility. Batman-adv: The SECN firmware now runs the 2013.4 release of batman-adv which includes essential features such as Bridge Loop Avoidance. Configurable Ethernet: Ethernet ports can be individually configured for WAN or LAN function. 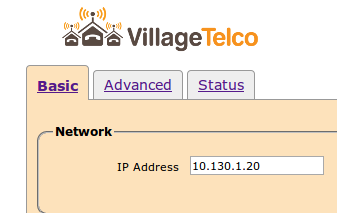 The SECN 2.0 firmware can be downloaded at http://download.villagetelco.org/firmware/secn/stable/ Please check all downloaded files against their MD5 sums prior to flashing your device. If you have any questions about upgrading your firmware, please don’t hesitate to ask questions in the development community. Also available very soon will be an SECN 2.0 firmware for the MP1 which will allow full compatibility among first generation Mesh Potatoes and all current generation devices including the MP2 Basic, MP2 Phone, and TP-Link/Ubiquiti devices. This final release of the 2.0 SECN firmware wouldn’t have been possible without countless hours of tweaking, testing and innovation by Terry Gillett. Thanks too to Keith Williamson and Elektra for invaluable support. Firmware for the MP2 Phone is currently in alpha development. The 2.1 release of the SECN firmware will be the first release to fully support the MP2 Phone. integration of a Twitter Bootstrap based UI which will make for faster and more intuitive configuration interface. The 3.0 release of the SECN firmware will be coordinated with the release of the Barrier Breaker of OpenWrt. It will also include the most recent updates to the Batman-adv mesh protocol. This entry was posted on Friday, August 15th, 2014 at 12:14 pm and is filed under Blog, Mesh Potato. You can follow any responses to this entry through the RSS 2.0 feed. You can leave a response, or trackback from your own site.